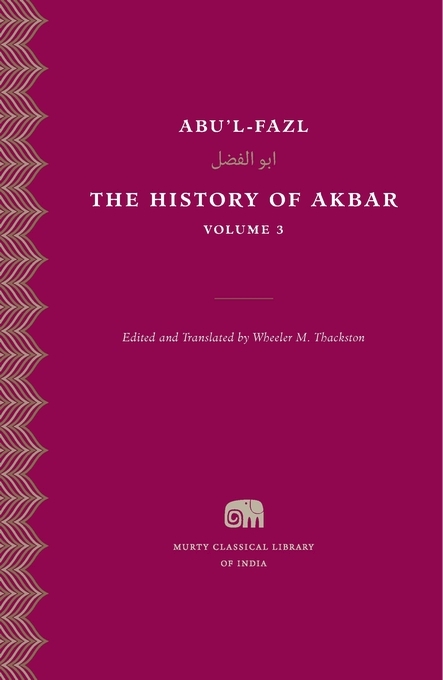 Akbarn&amacr;ma, or The History of Akbar, by Abu’l-Fazl (d. 1602), is one of the most important works of Indo-Persian history and a touchstone of prose artistry. Marking a high point in a long, rich tradition of Persian historical writing, it served as a model for historians across the Persianate world. The work is at once a biography of the Mughal emperor Akbar (r. 1556–1605) that includes descriptions of his political and martial feats and cultural achievements, and a chronicle of sixteenth-century India. 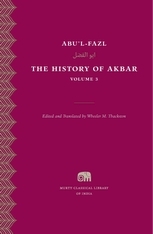 The third volume details the first eight years of Akbar’s reign, when he consolidated his power, quelled the rebellion of his guardian Bayram Khan, conquered Malwa, and married a Rajput princess. The Persian text, presented in the Naskh script, is based on a careful reassessment of the primary sources.